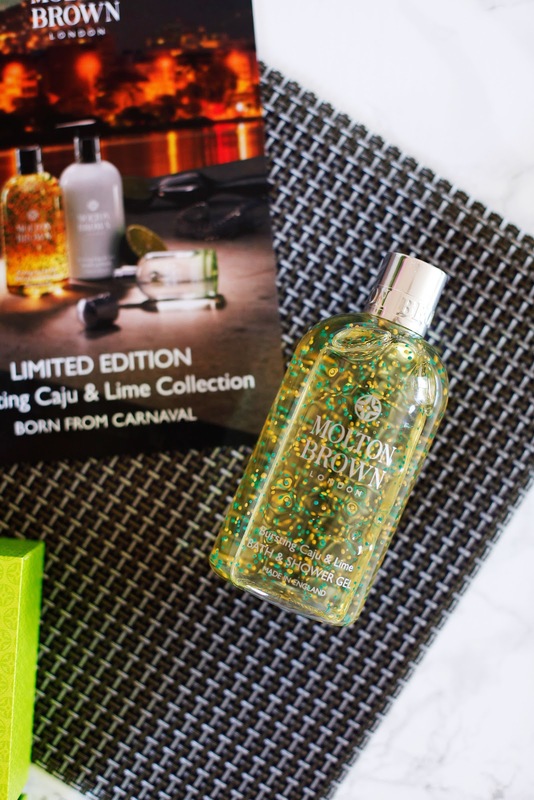 Molton Brown celebrate summer with their limited edition Bursting Caju & Lime Collection. Inspired by lively Brazil's signature caipirinha cocktail and the upbeat atmosphere of Carnaval. Caju & Lime is a lively, joyful, summer scent with a solar burst of lime, grapefruit and orange, an invigorating spearmint heart and base notes of musk and oak moss. It both smells and feels divine. 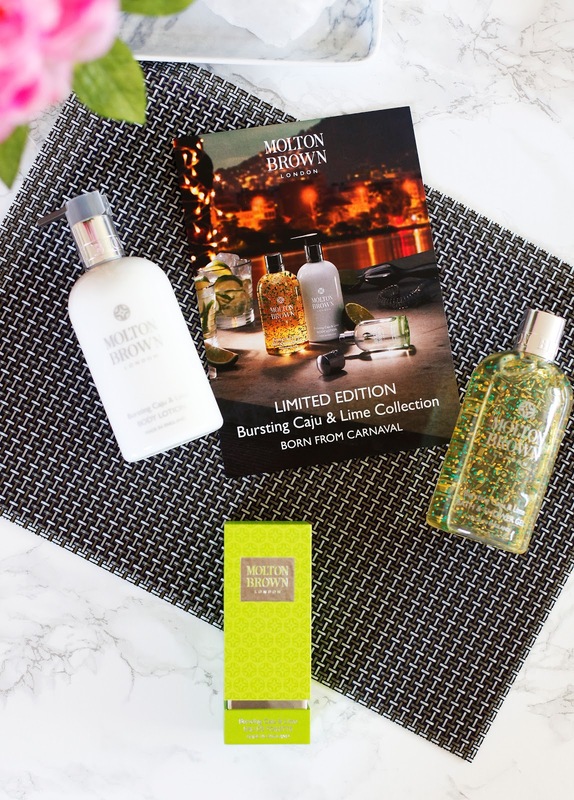 Capturing Brazil’s vibrancy, this collection offers the perfect remedy to the summer heat, with an energising body wash, nourishing body lotion and invigorating eau de toilette. "The top notes of caipirinha accord are refreshing with a squeeze of zesty lime, grapefruit, lemon and orange. To lift it even more, a dash of spearmint is added – crisp, just like the cocktail. To give that humid finish, woody fig tree and oak moss mix perfectly with upbeat green galbanum." Bursting Caju & Lime Shower Gel (£20) like a bottle of bustling Brazilian carnival confetti, it's my favourite shower gel for summer. This joyful zesty concoction is inspired by Brazil’s caipirinha cocktail. Lime, grapefruit, lemon and orange with spearmint and cedar will wake you right up. Super fresh with antioxidant-rich Caju Fruit extract – which is rich in antioxidants and Vitamin C – this unique blend gives an energizing kick to the mind and body, while leaving the skin feeling fresh and radiant. The small micro beads helps the oils inside to spread evenly. With a top note of energizing caju fruit, loaded with Vitamin C, a middle note with Mint aroma oil and base note with a huge puff of Lime it is really a bestseller and still it’s limited edition. Bursting Caju & Lime Body Lotion (£25). I like treating my skin with a luxurious body lotion. Proven to instantly firm and moisturise the skin, the pampering complex instantly comforts and hydrates. Formulated with energising Caju fruit, Lime oil with the scent of caipirinhas, the radiant body lotion is perfect for all skin types. Bursting Caju & Lime Eau de Toilette (£39) is summer in a bottle. The fragrance features lime, grapefruit, orange, lemon, mint, clary sage, galbanum, cypress, musk and oakmoss. 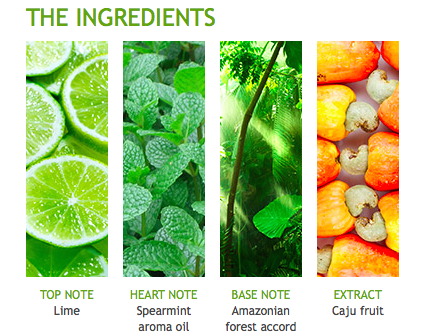 The lime comes through sharply and is complimented so well with the spearmint note. A great fragrance to wear on a summer day, so you can feel Rio’s effervescent carnaval spirit. 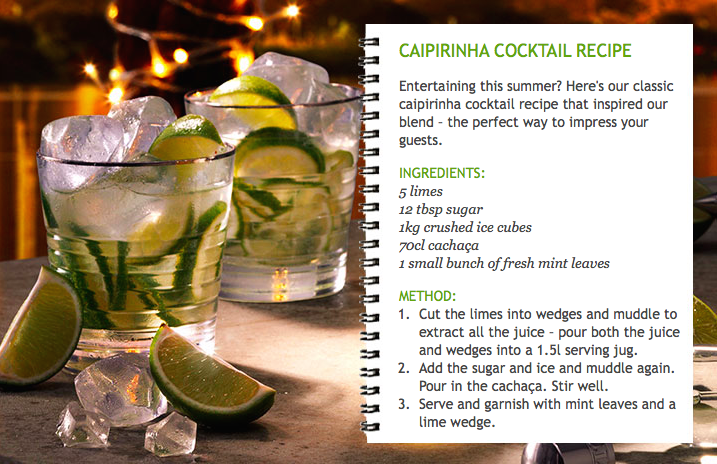 So why not re-create your own blend of Brazillian carnival sunshine by creating the classic Caipirinha cocktail? Just in time for the Rio 2016 Olympics, this Brazil-inspired fragrance makes the perfect refreshing collection to stir your senses this summer. 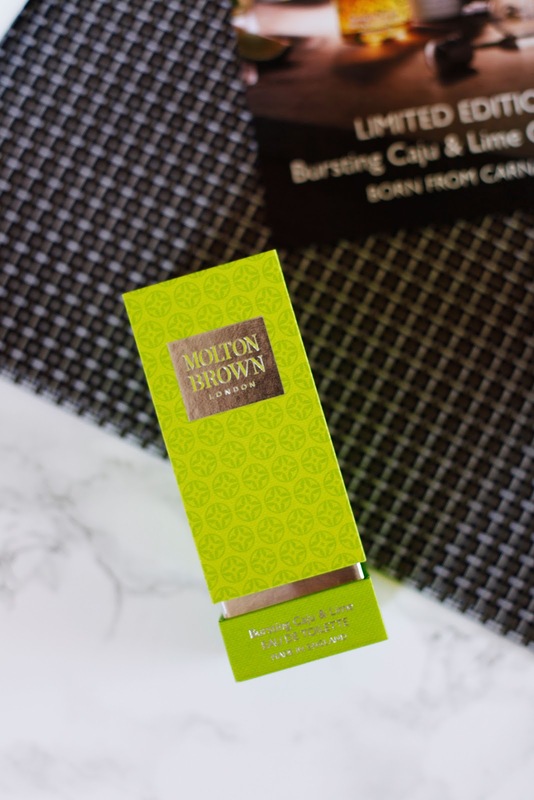 One day I'll jet off to lively Brazil, but for now I'm enjoying my Caju & Lime Bath & Body Collection from Molton Brown.